For years now, human spaceships have taken on the asteroids in the universe. But will the asteroids take it any longer? Hell, no! They’ve pulled up their socks, and now the humans better watch out. Asteroids Revenge is an action-shooter that puts you in control of an asteroid and it’s cronies who seek human spaceships and destroy them. 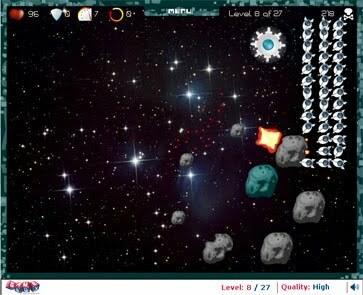 Crash your asteroid into the spaceship with the mouse or using arrow keys. gain powerups and bonuses along the way!